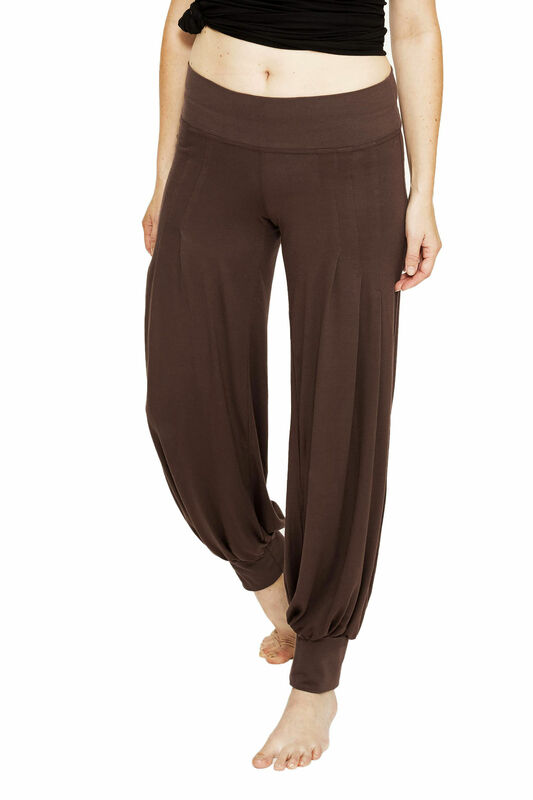 Full length pants for yoga and leisure in soft bamboolycra with beautiful draping on the front of the upper leg! The legband of this pant is wide enough to pull up on the leg to get a shorter pant. The waistband and legband is made in solid cottonlycra for a perfect fit and stability. 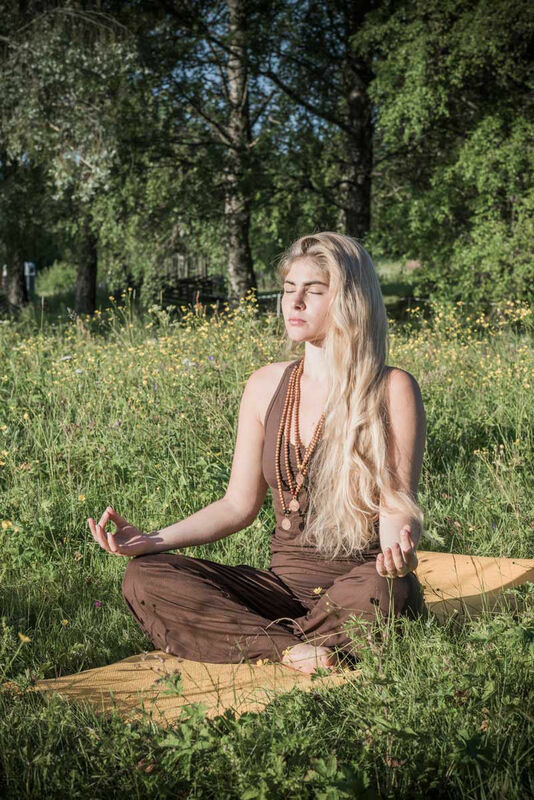 The brown colour of this pant is the same shade as our Lakshmi singlet in brown.